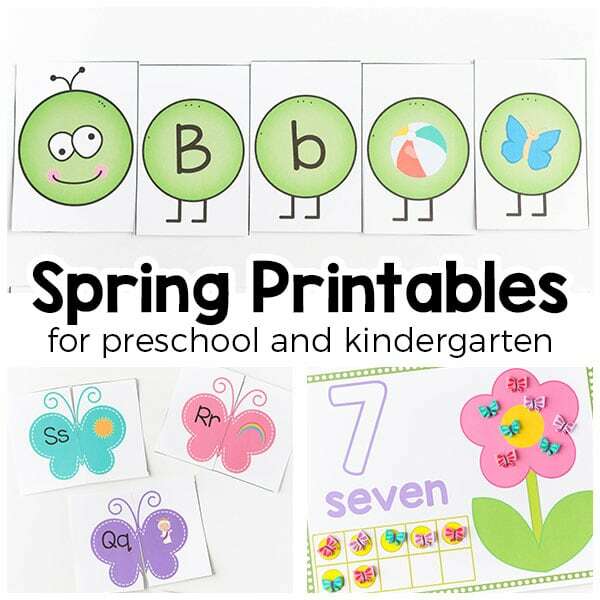 These spring theme printables and activities are perfect for preschool and kindergarten students. 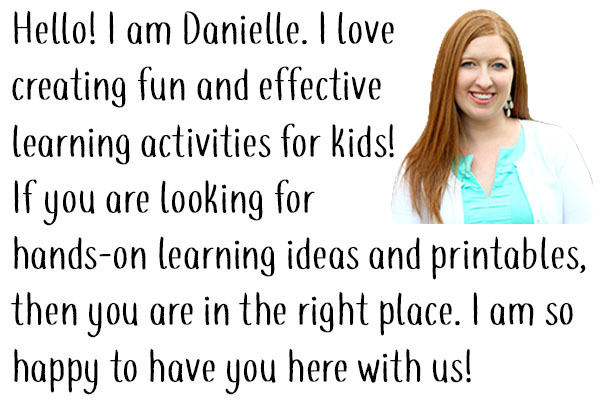 They cover letter recognition, letter sounds, numbers and more! With over 300 pages of printable activities, this printable pack is sure to keep the kids busy this spring! I wanted to develop a fun set of hands-on printables that would be great for pre-k and kindergarten students to use this spring. And they had to be activities that would be simple and easy for teachers and parents to set up and use. 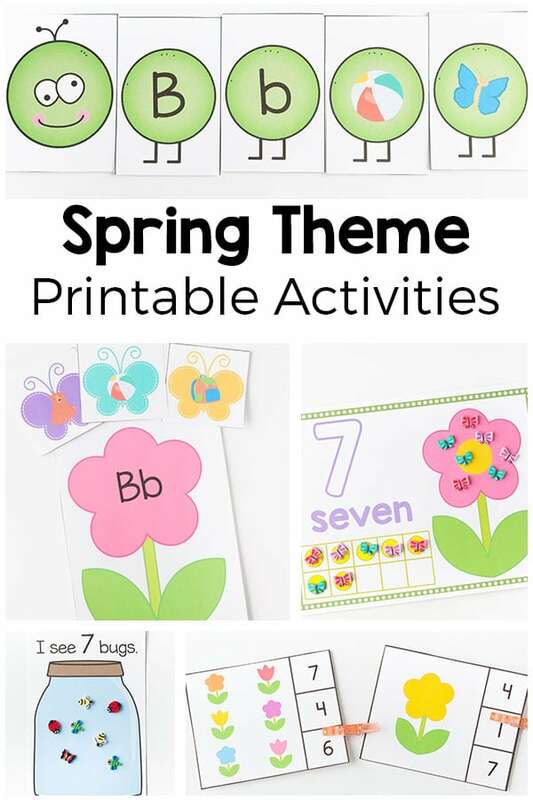 These spring theme printables would be great to use in literacy and math centers in the classroom as well as at home with parents. 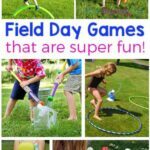 These are a great way to save time prepping and planning fun and learning for the kids this spring. I already have them all cut out and any extra supplies ready to go. This way I can easily pull things out when I want to use them with the kids. I also chose to make a pack that included lots of different spring themes within it so that you would be able to switch them up and use them all spring long. From butterflies to caterpillars to eggs and frogs, this set has activities that you can use throughout all of the typical spring themes that are used in the classroom. 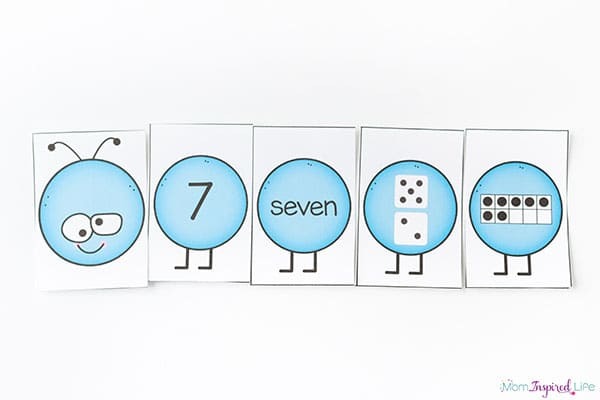 All of the number activities cover the numbers 1-20 so that kids of varying ability levels will be able to use them. 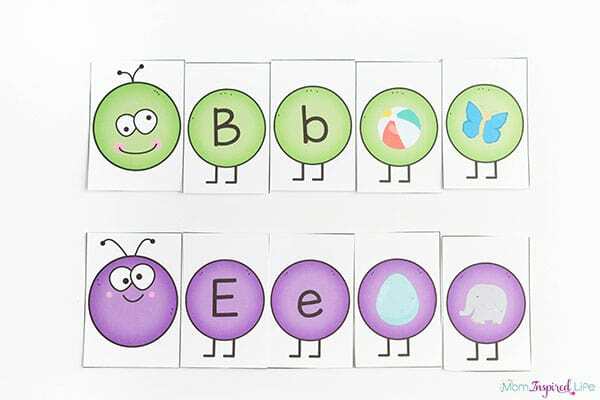 Children will match the uppercase letter, lowercase letter and objects with the same beginning sound to form a caterpillar. They can also match the various versions of a number to make caterpillars. Or put all the rhyming words together. My 5-year-old son loved these caterpillars! 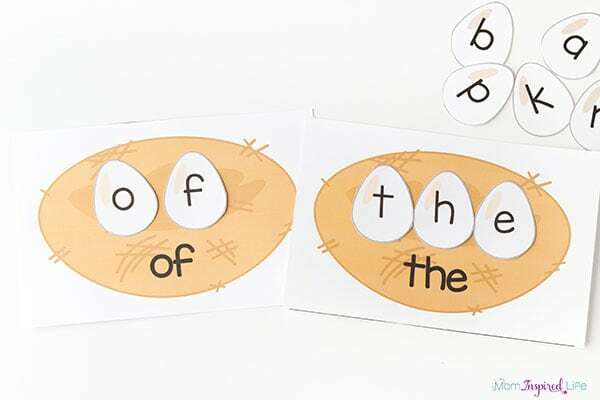 The next spring theme printables I made were these egg and nest activities. One activity is letter and sounds recognition. Children will match the eggs to the correct nest. The next is number recognition. 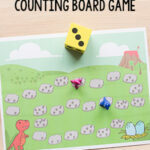 Children will match the various versions of each number to the corresponding nest. 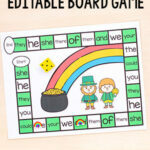 And the third activity within this theme is building sight words. 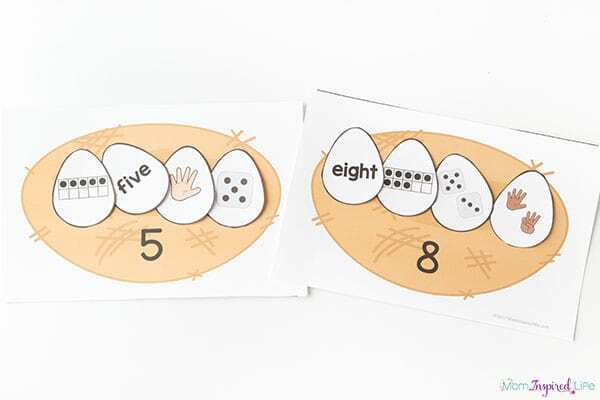 Children will use alphabet eggs to build the sight word written on the nest. 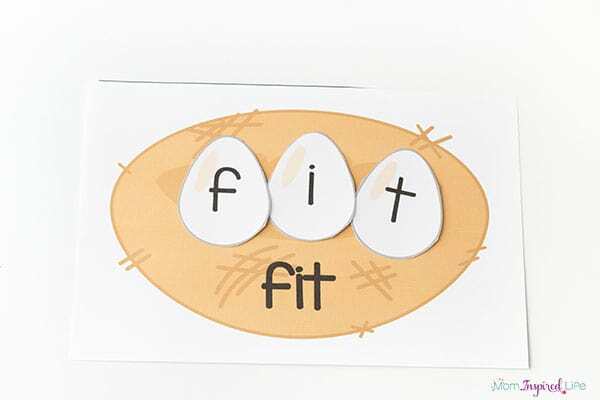 The fourth and final egg themed activity is a CVC word family building activity. 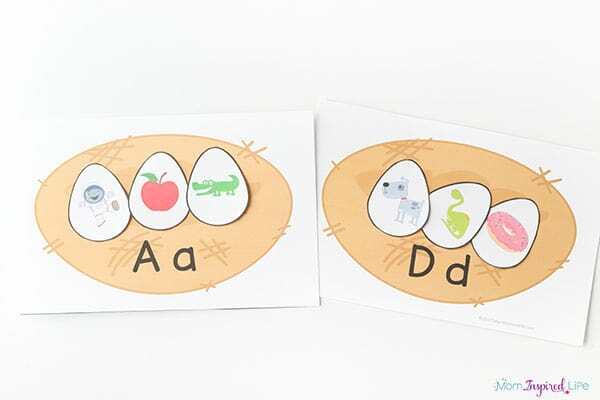 Build the CVC words that are on each nest with the alphabet eggs. The next theme in this pack is flowers. It wouldn’t be a spring pack without them! 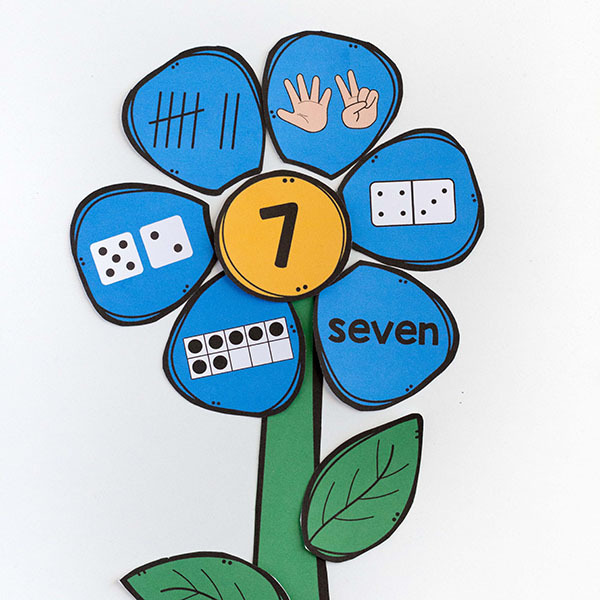 My kids loved these number matching flowers that kids can build themselves! They go from numbers 1-20. The first flower activity in this spring theme printable pack is a letters and sounds activities with flowers and butterflies. 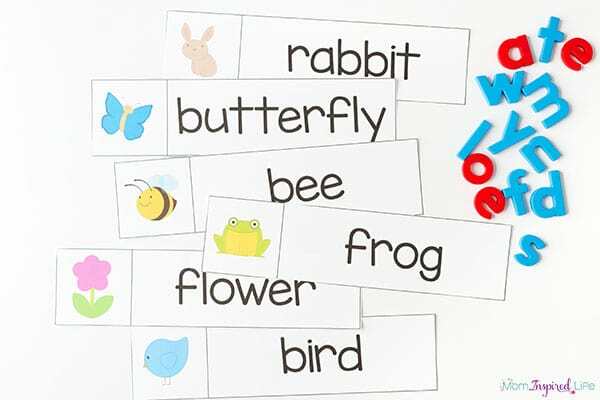 Match the beginning sounds butterflies to the corresponding flower. 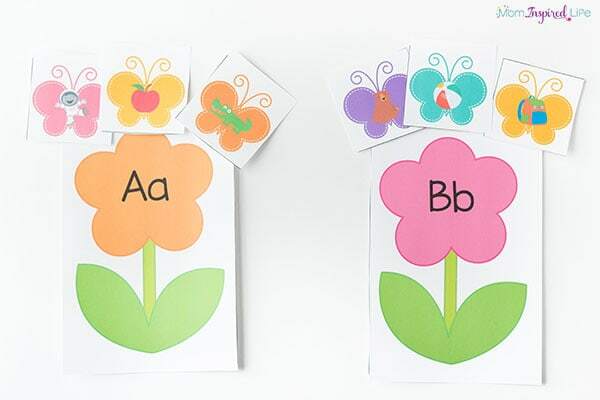 The next activity is a letter sounds clip cards activity. 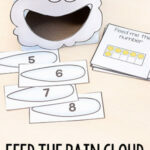 This activity will reinforce beginning sounds recognition and develop fine motor skills at the same time. 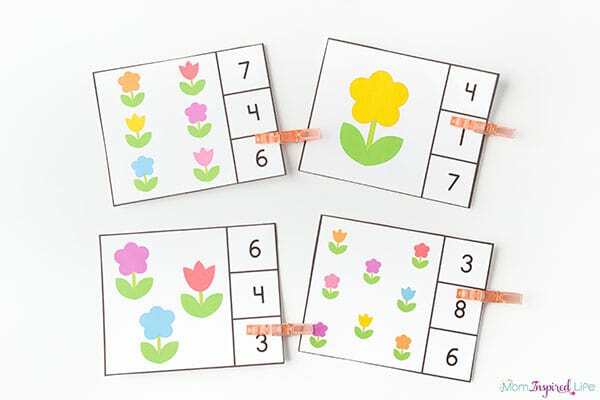 Kids will practice counting and number recognition with these counting clip cards. This is another great way to develop fine motor skills. Add in butterflies and these spring activities are even more fun! 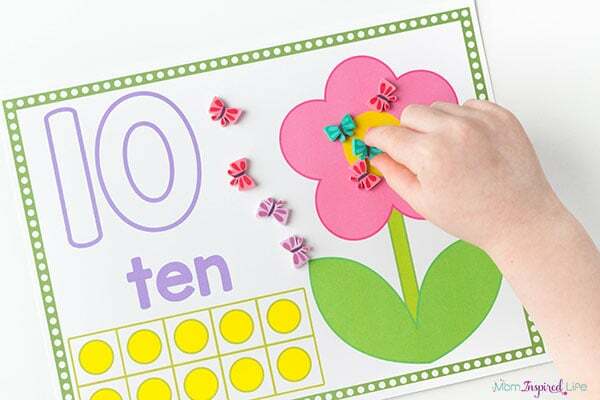 Check out these super cute flowers and butterflies counting mats. 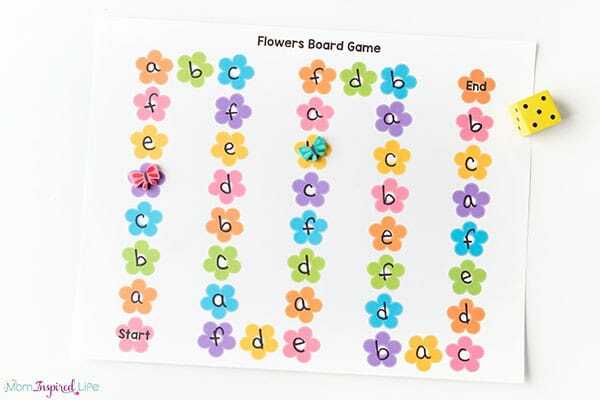 This simple flower themed board game can be used to work on letter identification, letter sounds, numbers, sight words and more! 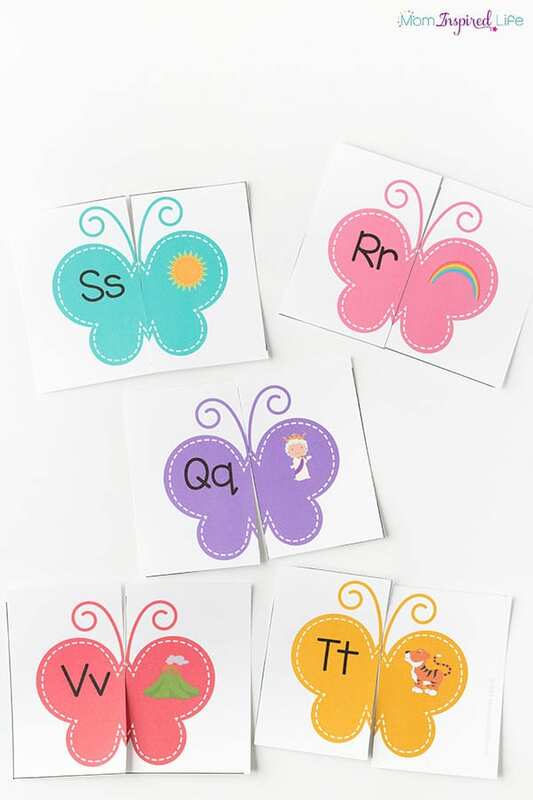 These butterfly letters and sounds matching puzzles are so vibrant and engaging. 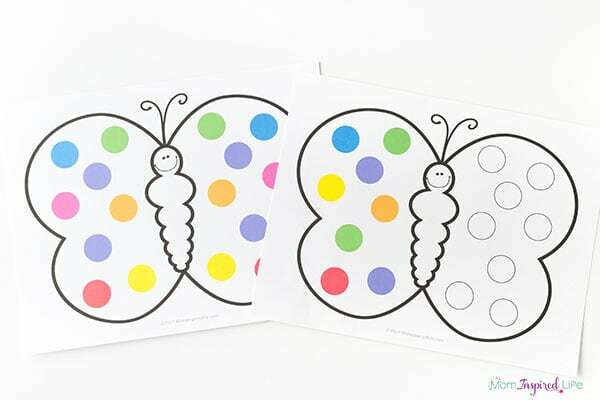 Work on all kinds of skills with these dot butterflies. 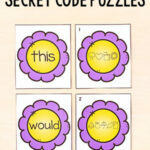 Practice symmetry with dot stickers, learn letters or just work on fine motor skills. Butterflies also come in a variety of spring colors and have white dots. 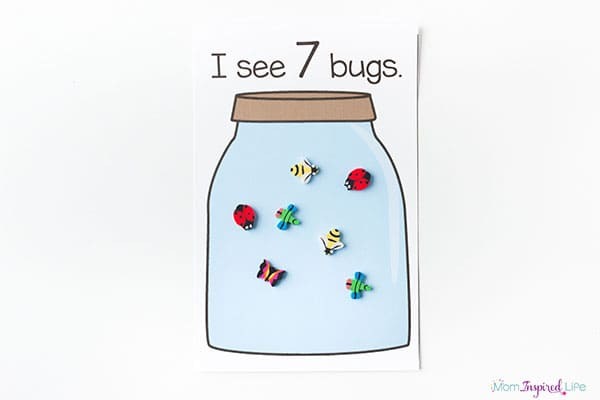 Practice counting, number recognition and one to one correspondence with these cute bug counting mats. 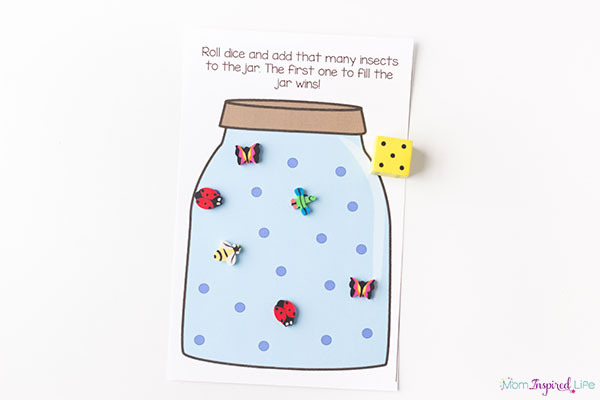 Or play a fun counting game with this bug jar! This frog letter sounds activity a such a fun way for kids to learn letters and identify beginning sounds this spring. 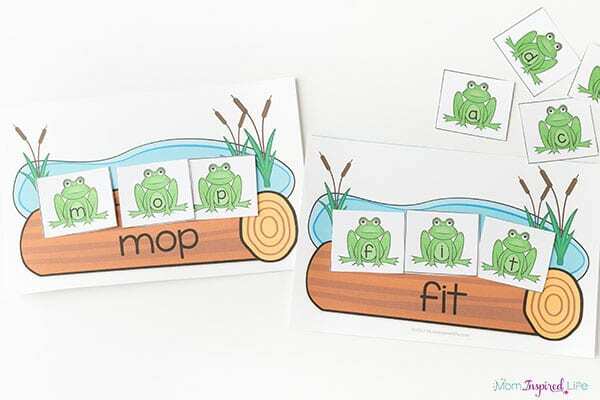 Kids can also practice building CVC words with this frog activity. 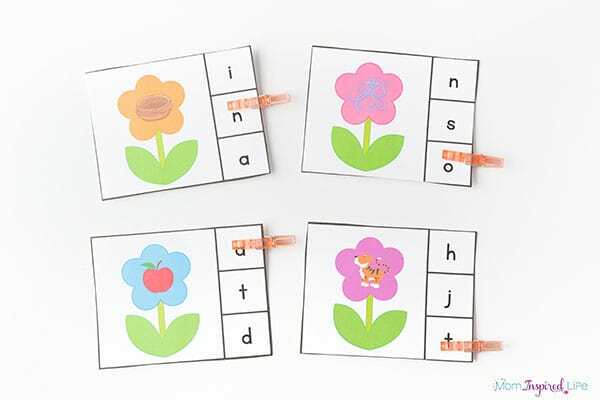 Preschoolers or kindergarten students can practice building spring words with these word strips. Use magnetic letters, letter beads or any other alphabet manipulative you have. These spring theme printables are sure to provide your kids with lots of hands-on and engaging learning time this spring! A pack this large and with this variety of activities would easily cost $30 or more, but I wanted to make it affordable for all of you. 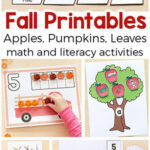 My hope is that these printables will lead to lots of fun and learning for your kids this spring!